Banishing Sinus Infection Misery? - Andrew Weil, M.D. I have a sinus infection, but my doctor said it would clear up on its own and declined to give me a prescription for an antibiotic. Should I see another doctor to get one? Is there anything else I can do to deal with the problem? I wouldn’t seek a prescription for an antibiotic from another doctor for a sinus infection or sinusitis. 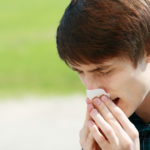 Research has shown that about 85 percent of sinus infections in adults do clear up on their own within seven to 15 days. 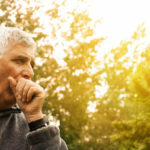 Nevertheless, it’s estimated that antibiotics are prescribed for up to 91 percent of patients with sinus infections despite the fact that the vast majority are viral in nature and won’t respond to those medications. Unnecessary use of antibiotics is the leading cause of antibiotic resistance and the emergence of dangerous superbugs. 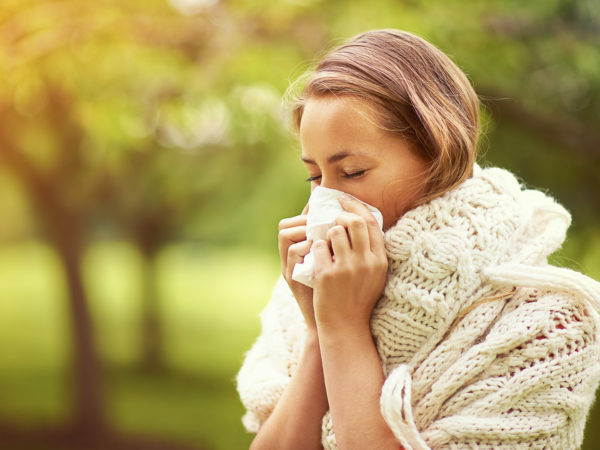 Medical guidelines suggest that it is appropriate to prescribe an antibiotic for a sinus infection if the patient has thick, green, brown, or bloody nasal discharge or facial pressure or pain for at least 10 days. 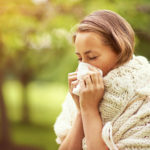 Antibiotics are also considered necessary if sinus infection symptoms begin to improve and then get worse, even if it has been less than 10 days. Put hot, wet towels over your upper face frequently. Work up to as much heat as you can stand, every 15 minutes, three or four times a day. This promotes drainage and increases blood flow to the sinus area. Drinking plenty of fluids will help moisten and thin the mucus in your sinuses; inhaling steam with a few drops of oil of thyme or oil of oregano is also a good idea. Nasal douching can help, too. Mix a solution of salt water (1/4 teaspoon of salt to a cup of sterile warm water). You can pour some of the salt water into your cupped hand and inhale it into one nostril at a time while closing the other nostril with an index finger. Or you can get a neti pot, a ceramic container shaped like a miniature Aladdin’s lamp that allows you to pour water directly into the nose. Use enough solution to fill your nasal cavity and spill into your mouth. Spit it out and then gently blow your nose. At first, this process may seem uncomfortable and messy, but once you get the hang of it, you’ll like what it does for your nose and sinuses. Use only purified, sterile, or boiled water for nasal douching. You also may be able to limit chronic sinus infections by boosting your resistance. I recommend taking a daily multivitamin, eating one to two cloves of raw garlic daily, and taking astragalus herb (two capsules twice a day) along with an immune-enhancing mushroom formula. Try eliminating cow’s milk and all cow’s milk products. Casein, the protein in milk, can irritate the immune system and increase mucus production. It is often associated with sinus conditions as well as with recurrent childhood ear infections, eczema, chronic bronchitis and asthma. It may take as long as to two months before you experience the full benefits of eliminating milk from your diet. Try acupuncture, which can be remarkably effective for relieving acute sinusitis. Acupuncture can ease pain and help promote sinus drainage within minutes of the placement of the needles. Finally, don’t smoke, avoid smoky surroundings, and if you live in a smoggy area, buy a HEPA air filter for your home.